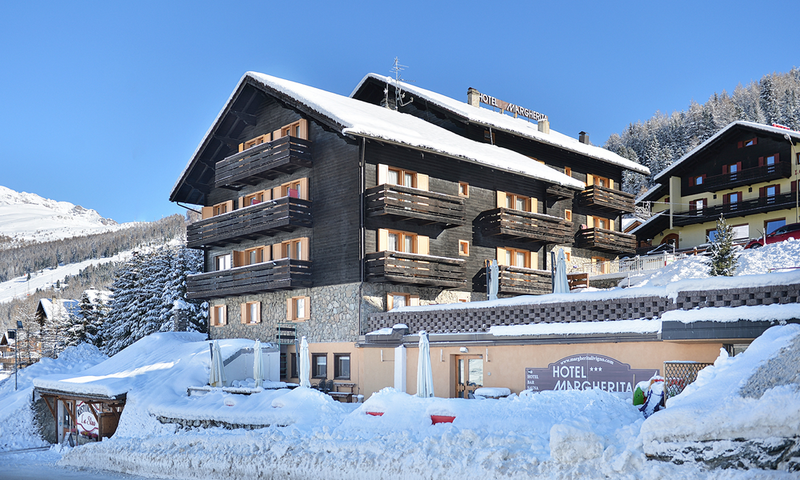 Our school has an agreement with some partner hotels in Livigno. Discover them all and choose the one you prefer! 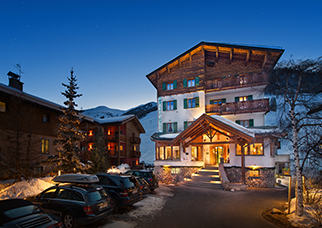 St Michael , a 4 star Hotel with spa is in Via Dala Gesa 678 , in the center of Livigno, very close to Piazza Mottini 1887 just 200 meters from the ski-area and from the pedestrian zone. 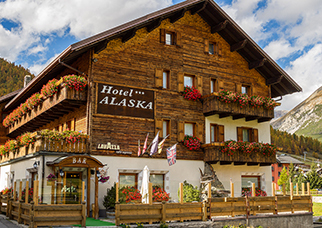 The Hotel is located just a few steps to the pedestrian zone, from the promenade along the Spöl river (which crosses the entire Livigno valley), 200 meters from Cassana cable car. The free bus stop is in front of the Hotel. 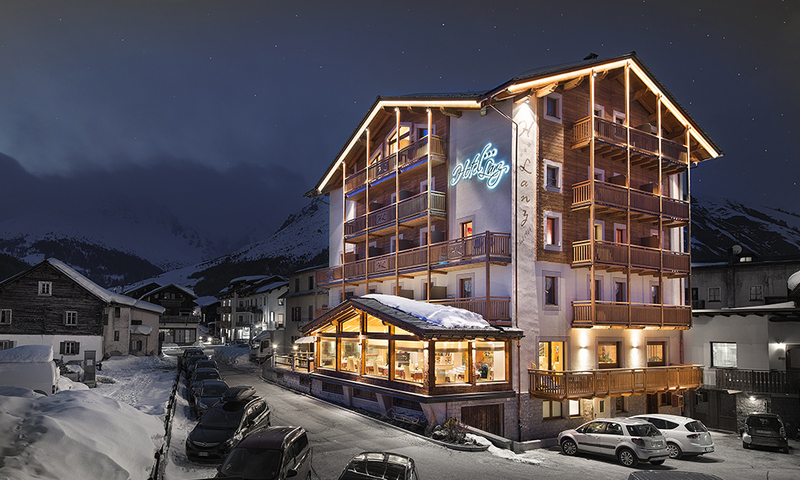 Right in the center, overlooking the ski slopes, Hotel Touring Livigno welcomes you in a warm and family atmosphere for a relaxing stay. 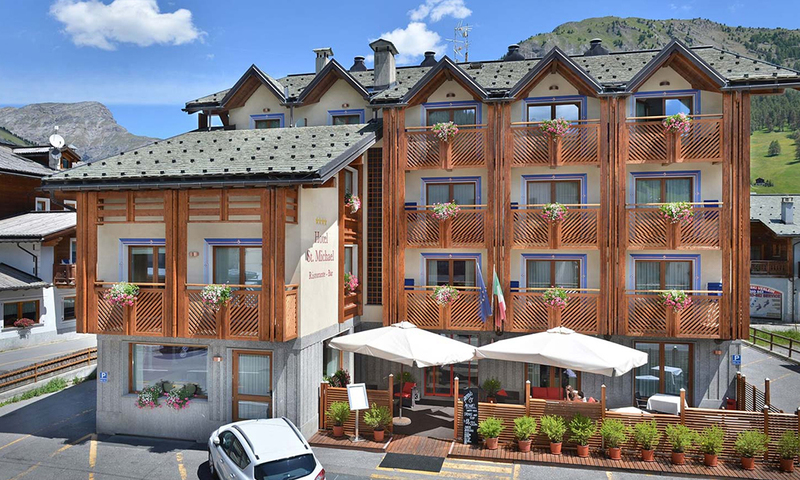 Located 800 meters from the Mottolino ski lifts, Hotel Margherita offers beautiful views from its terrace, free bike rental and a free shuttle to the center of Livigno. The Margherita’s bright rooms include satellite TV. Guests can relax in a sauna and a bar with table football and billiards. 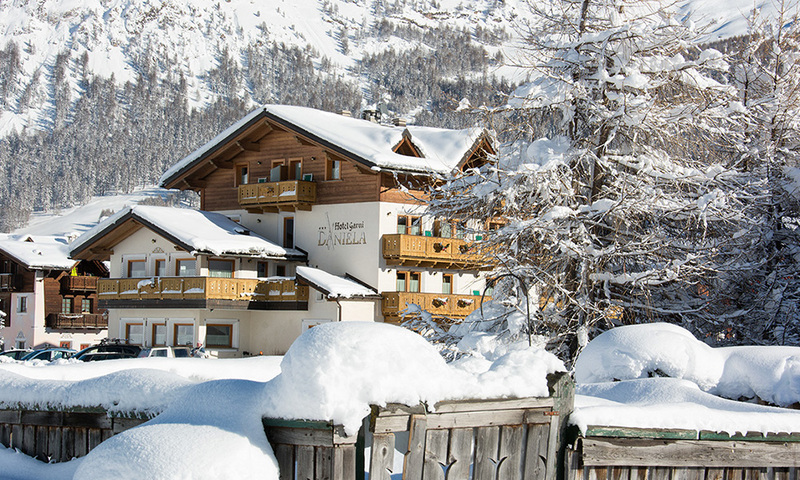 At the Margherita you can rent skis and buy ski passes. 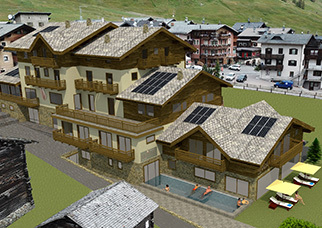 A storage room for skis and bicycles is also available. Hotel Margherita’s restaurant serves Lombard cuisine, vegetarian options and gluten-free options. 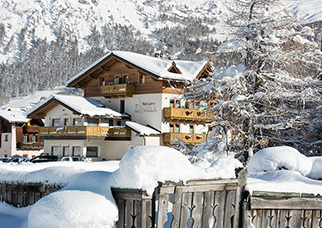 Lake Livigno is a 5-minute drive away, while Bormio is 35 km far away. 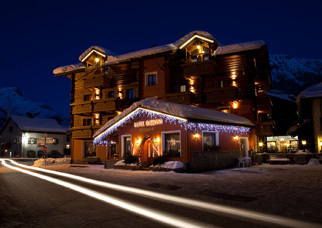 Hotel Located in the center near the ski slopes (you can ski with your feet), near the central ski school. Near the hotel there are also bars, restaurants, pubs and many shops. Inside the hotel there is an elegant restaurant, a comfortable lounge, the bar which is very quiet, the spa with sauna and turkish bath and a gym. Suitable for families, inside the hotel in fact in addition to the large rooms are a salagiochi. We are equipped with strollers and cots. 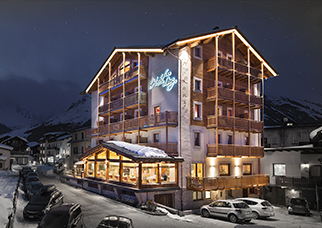 Hotel Spöl – Feel at Home is perfectly located in the centre of Livigno. Just opposite to the hotel starts the pedestrian area, ideal to enjoy a nice walk and some duty free shopping. There is also a direct connection to the walking and cycling trail along the river Spol, fully surrounded by green fields. Hotel Spol is also directly connected to more challenging trekking and hiking trails, including those for mountain biking. In the winter, forget about the car: perfectly prepared ski slopes and a 40 km cross country course are just in front of the doorstep. In the SPA of the hotel the possibility of massages, treatments pampered by the expert hands of our operators! Valtellina also means or above all excellent flavors and ancient recipes, exalted in a creative way by Bormolini Michele in combination with a careful selection of local and Italian wines. 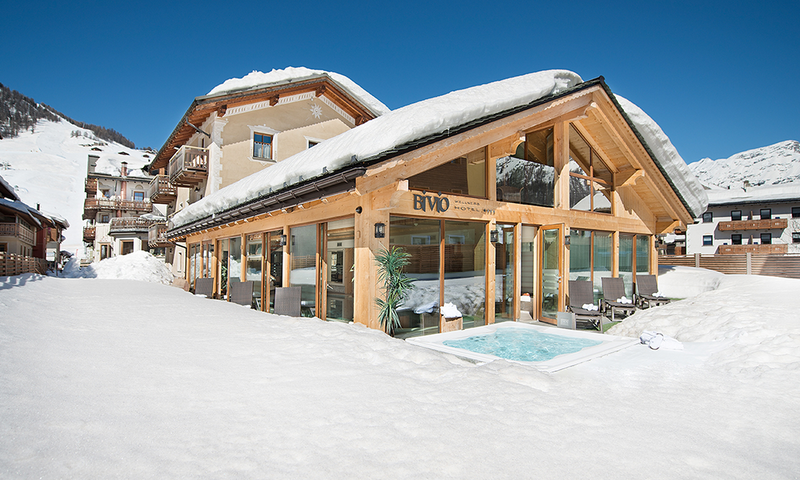 The Bivio Hotel in Livigno is exciting, dynamic and engaging. 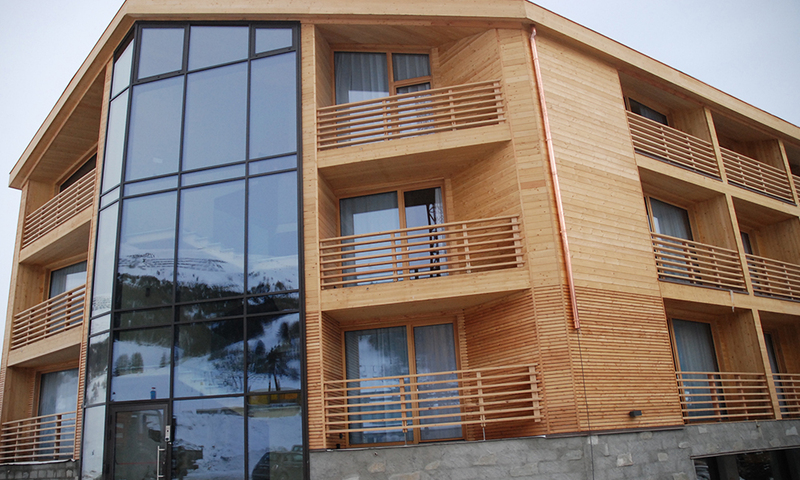 The bright and comfortable Alpine-style rooms, all wood refined, will simply delight you. Recharge your batteries at the Garden Spa, our brand-new beauty & wellness area. Spice up your evenings at the sparkling Bivio Club Glam Disco Bar. 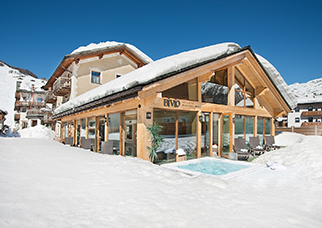 Boasting an elegant restaurant with local specialties and a bistrot with a large wine cellar, the Bivio Hotel in Livigno promises a top-quality holiday and a sense of true wellbeing. 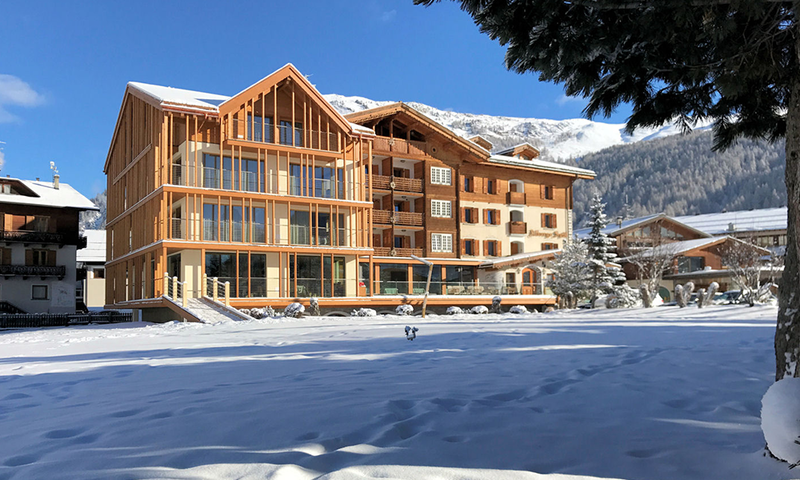 Renewed and modernized, this is how we present ourselves at Mont Chalet Nevada, which we want to give our guests indelible experiences. 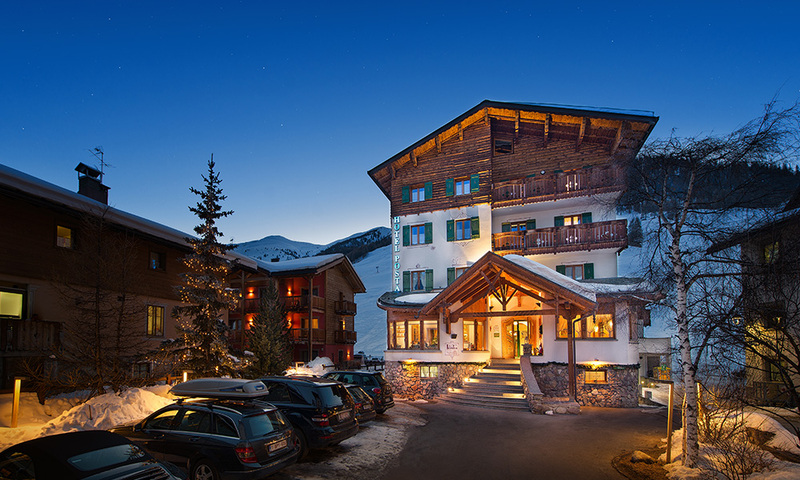 Our high-quality yet casual design will immediately immerse you in a relaxed, typically alpine atmosphere. Mountain fragrances, natural colors and raw materials have been chosen to merge and make our guests experience unique emotions. Pampering and magic, in our brand new spa we organize unique events to live with those you love: your family or your friends. Imagine yourself plunging into the water of an infinity pool and adding the whiteness of the poolside snow: we present you the Esterna, a dream that comes to us from a bathrobe in your rooms. 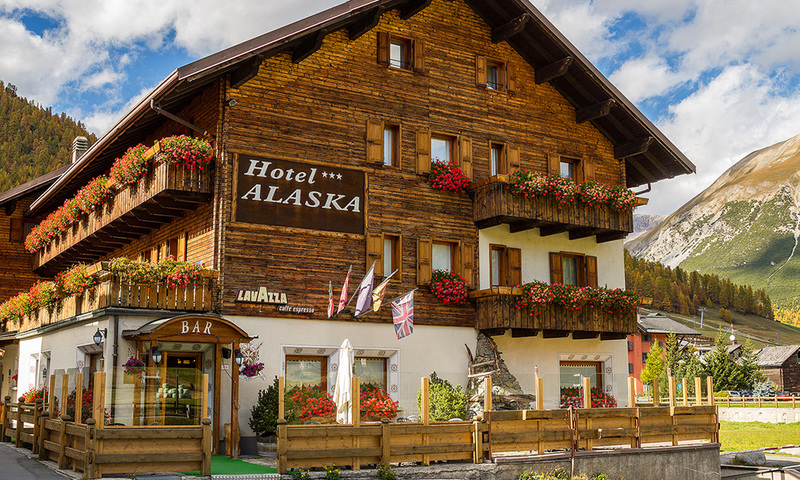 Hotel Alaska is in the heart of Livigno, the structure is managed by Bormolini Family a pleasure atmosphere. Near the ski lifts and cross-country track, but also a step away from the many shops and commercial activities in which to shop. Our rooms are warm and welcoming, they are all finished in every detail and equipped with private bathroom with shower, heating, LCD TV, telephone, hairdryer. Upon request and subject to availability, you can book a room with a safe and / or balcony. Internet Wireless and Internet Point. Excellent typical and national cuisine. 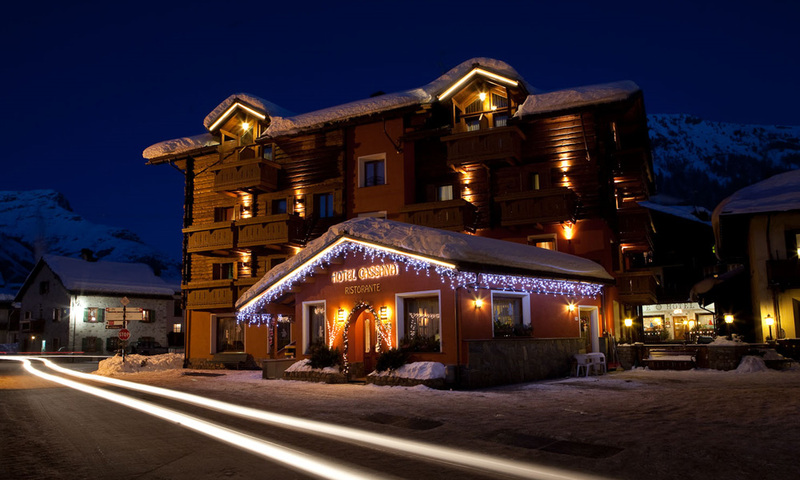 If you are longing for a holiday on the ski slopes in Livigno, well, Hotel Bucaneve is the right place for you. As a matter of fact, we are not situated in the centre but just a 5-minute scenic walk away. 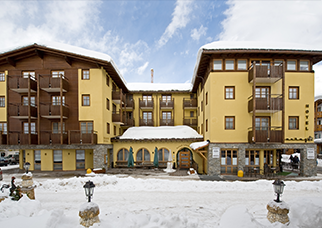 The Mottolino Ski Area ski lift facilities are located within 100 metres and our facility overlooks the cross-country skiing track. 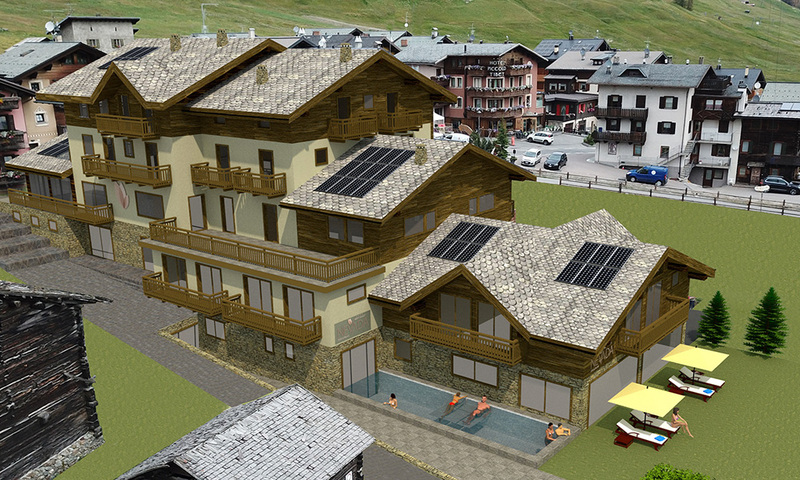 It is surrounded by Livigno’s mountain ranges and is just 100 metres from the ski lifts to Mottolino. We are bang on the 12 km cross-country skiing track that follows River Spöl along Livigno valley. We pamper families with kids. Firstly because we are a family as well, and secondly because we can count on a full range of dedicated amenities and have special communicating rooms! In addition, you can even ask our restaurant for custom children’s menus. A Hotel flower. For those who love to relax and drop out of themselves to peace. 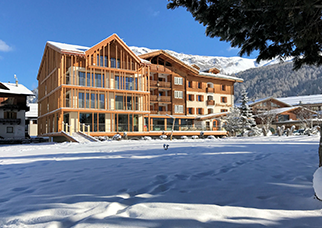 The Hotel Flora, is very close to the center of Livigno, in winter it’s surrounded by the an enchanted white views and in summer it’s immersed by the green and an infinite garden. Hotel Flora is the ideal for couples and for those who’s looking for relax and calm. 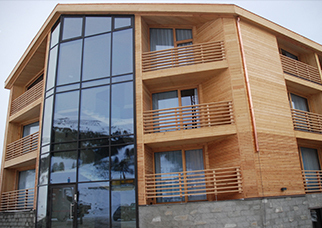 The Hotel has in total 19 rooms, including suites wich are all furnished with elegance and love for details according to the traditional mountain style but equipped with all modern comforts. For those who want to dedicate themselves to the well-being of the body and mind, hose who love to relax and enjoy peace will find in the hotel Flora a wellness area with a indoor pool and a equipped fitness area. Among many services, Hotel Flora disposes also of garage and sunny terrace and the free WiFi connection. Upon request we accept small and medium-sized pets. 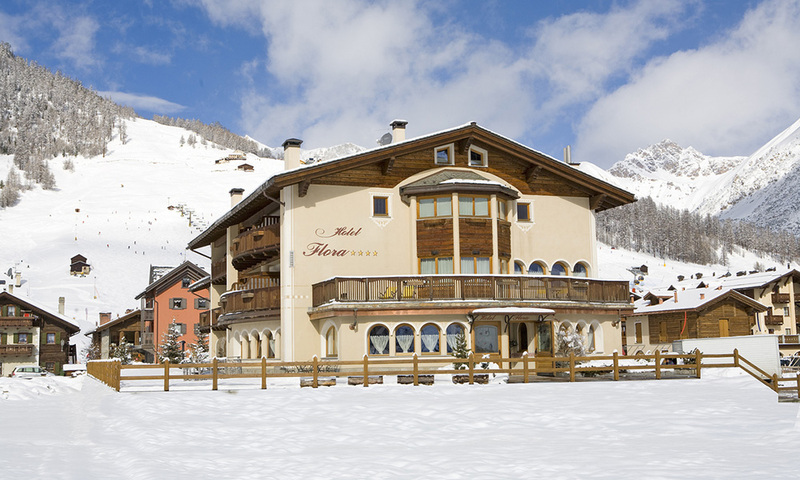 Hotel Daniela is a small B&B in the heart of Livigno. Situated in the tourist center, directly to the pedestrian promenade, the Hotel boasts an exclusive position, in a quiet place a step away from everything!! Extended in a choice of restaurants and pizzerias, shops for shopping agreement with us, bar and pubs for fun. 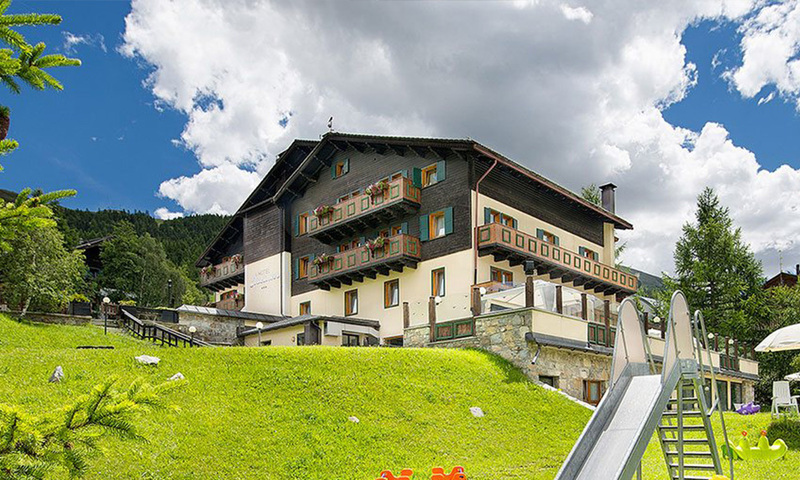 Just a step to lose yourself in the green meadows in summer and to reach the ski slopes in winter. In the morning a delicious breakfast buffet satisfy everyone with genuin products, biological, light without gluten, giving you the very first smile of the day. Bright and comfortable, all the rooms are gifted of TV-SAT, free WI-FI, herbal tea corner, strong cash, hair blower, telephone, and terrace. The Historic Hotel that for three generations carries on a tradition at hospitality for 360 degrees. 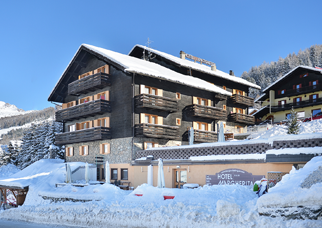 Hotel Lanz is located in a quiet area near the lifts, from the Hotel you can get directly to the cross country slopes and in the same time you’ll find also pedestrian cycle in the winter and in the summer. The family management it’ll make you feel at home, in a friendly environment can give you the needs of the younger guests, without letting your self about relaxing in our wellness”Al Bui”. We take care of our kitchen and we care about satisfying all your needs. We offer Valtellina proposals, without forgetting Italian dishes. Holiday with snowflakes in the winter and sparkling air in the summer is waiting for you, glad to give you the most cordial welcome in a familiar and hospitable environment, between fun and relaxation. 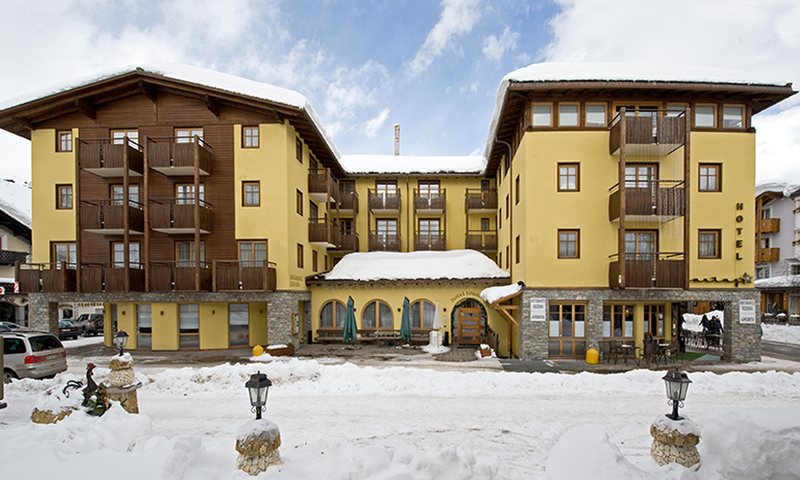 If you want to live surrounded by comfort and elegance, Hotel Concordia**** is the ideal destination. 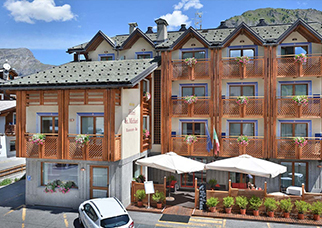 Located in the heart of the pedestrian area, flanked by the street of shopping zone where are the shining windows of the most important brand of fashion, the hotel blends the most dynamic Livigno’s worldliness with the pleasure of a warm and romantic atmosphere. The Concordia**** has a reserved parking lot, an area relax and a refined restaurant. The Lounge Bar is the must-see for those looking for trendy aperitifs, to be enjoyed with your friends. The Hotel Concordia**** is also the ideal base for families who want to spend a relaxing and sporting holiday, or for couples who want to treat themselves to a romantic holiday. Find out the available offers, the right one for your type of vacation. For us freestyle isn’t a sportive discipline, but a lifestyle. During your holidays in Italy, at the Montivas Hotel Lodge you can be finally free. Focused on the essential, the maximum pleasure mixed with absolute leisure awaits you. We’re children of the mountain and our lodge was built for mountain sportives. 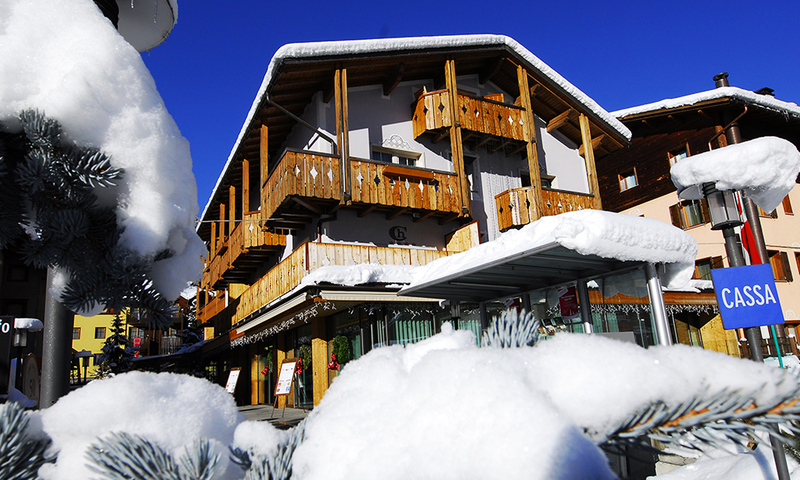 A base camp in the heart of the paradise of open air activities in the Alps! Life is too short to spend boring vacations. Montivas is the right home for you ambitious, want to overcome your limits and no fear to speed! The linear architecture and essential leaves in the first place the wonder of the nature. It gives the rhythm, the tone and background music. We created a unique lodge perfectly in harmony with the nature, wich you can spend you holiday and your adventures with a relaxed integrity. A low environment impact construction method with optimal thermal insulation, a chip plant, a modern energy recovery system and the choice of many high quality ecological materials demonstrate our love and respect for the nature. Because for us nature is synonymous of freedom. 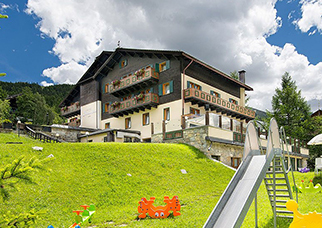 Family Galli-Andreola is pleased to give you a friendly and joyful Welcome to Hotel Cassana. 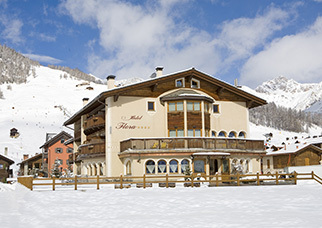 The recently renovated hotel is cared for by a tradition and experience that has been repeated for more than 30 years in the hospitality industry, is set in a quiet and sunny position, directly on the ski slopes, at the foot of the brand new gondola Cassana and very close to the cross-country skiing, a short walk from the town center, in front with the first stop of the free ski bus shuttle service, transiting along Livigno. 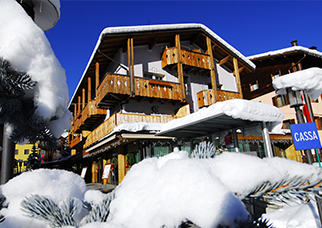 And ‘the ideal holiday in all seasons, for a nice, relaxing, comfortable and enjoyable stay in Livigno, in the name of the unique colors of the Alps and the delicious flavors of healthy, wholesome and appetizing cuisine from Valtellina.